Between 1995 and 2003, 12 women in Spartanburg County were the victims of criminal sexual conduct or attempted criminal sexual conduct. All of the offenses occurred at apartment complexes in the early morning hours, and from interviewing the victims, a suspect description was developed. 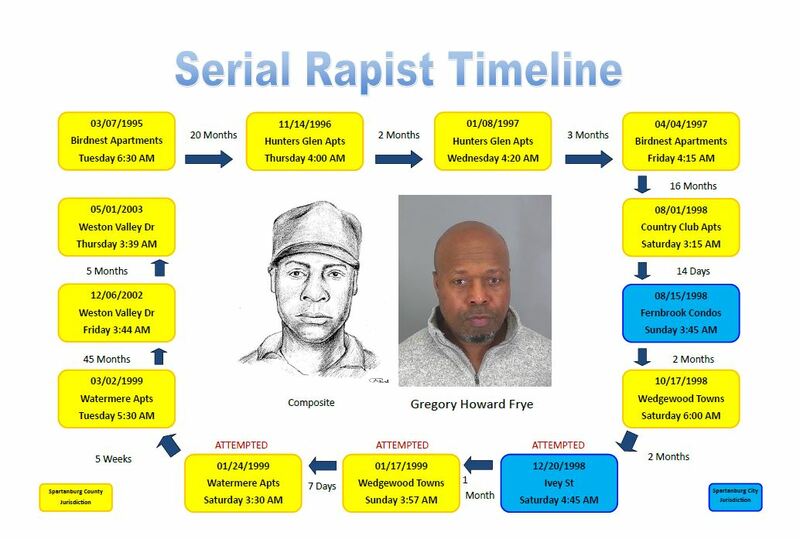 The victims in these cases described the offender as a black male, 5’10 to 6’00 tall, 160-180 pounds, well spoken, wearing dark clothing and either a ball cap or toboggan. The suspect’s actions in all the incidents was also very similar, leading investigators to believe that all the offenses were committed by the same person. Once the results of DNA analysis came back on the completed criminal sexual conduct cases, it confirmed all the incidents were committed by the same person. Despite numerous potential suspects being interviewed and their DNA collected and analyzed, the results never revealed a suspect. Further compounding the investigation is that the suspect never established a pattern, as evidenced by gaps of 16 months, 20 months, and 37 months between incidents. All the victims were white females, and their ages ranged from 14-51 years old. One of the victims was targeted twice, for a total of 13 incidents. Approximately 6 months ago, investigators with both the Spartanburg City Police Department and the Spartanburg County Sheriff’s Office began looking at these cases from a different perspective. Officers began an aggressive new look at the cases with specific emphasis on the forensic evidence. Technological advances allowed the investigative teams to expand their review of the cases. Investigators from both agencies worked tirelessly reviewing all of the old cases, re-interviewing victims, identifying potential family members of possible suspects, collecting new DNA samples, and sending that evidence to the State Law Enforcement Division (SLED) for analysis. We received notification from SLED last week that through their analysis, a suspect with a matching DNA profile had been identified. That profile matched the evidence collected from the victims in 6 of the completed criminal sexual conduct cases. The suspect has been identified as Gregory Howard Frye, B/M, 121 Clint Ct., Spartanburg, SC, 29307. Frye was arrested by investigators from both agencies yesterday and transported to the Spartanburg Police Department. 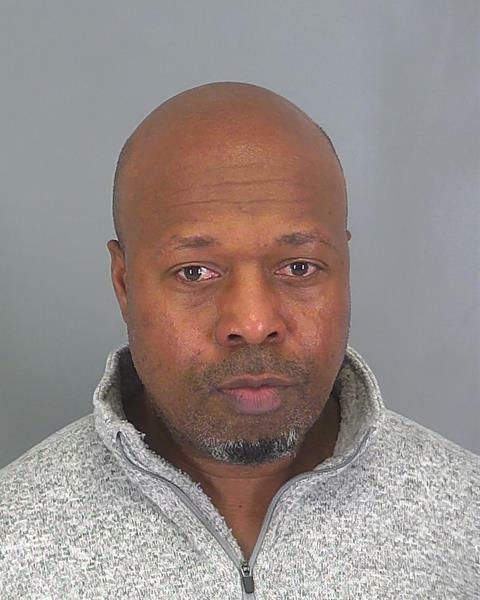 He is charged with one count of Burglary – First Degree, Kidnapping, and Criminal Sexual Conduct - First Degree for one of the incidents in the county. Additional charges are pending, and Frye went before a magistrate last night, who informed him he would have to appear before a circuit court judge for arraignment at a later date.